The Madeline Luxury Firm Hybrid is engineered to deliver deep conforming comfort, superior support and value. This series features a high carbon content "tempered" pocketed spring system, designed to eliminate motion transfer, and extra support, and conformability to the body's individual contours. Sophisticated heavy weight circular knit cover with natural fibers is used to enhance surface comfort, while soy-based upholstery grade foams and cool gel memory layers are layered with an ascending support strategy. This group includes the Twin XL mattress and matching foundation. COOL & SUPPORT every curve of your body. The secret is the new TempActiv™ Technology which is found in the TempActiv™ Touch cover and the TempActiv™ Gel Memory Foam that helps you fall asleep faster and stay asleep longer. EverCool® Fuze Gel Memory Foam along with Serta® Balanced Support Foam are designed to balance the right level of cushioning comfort and support for your body and help relieve painful pressure points. The Serta® Ultimate Edge® Foam Core provides long lasting support. Unlike many memory foam mattresses, it also features enhanced edge support to maximize your sleep surface so you have more room to stretch. This group includes Twin XL mattress and matching foundation. The New Serta® iComfort® Blue 1000 helps comfortably COOL & SUPPORT every curve of your body. The secret is the new TempActiv™ Technology which is found in the TempActiv™ Touch cover and the TempActiv™ Max Gel Memory Foam that helps you fall asleep faster and stay asleep longer. EverCool® Fuze Gel Memory Foam along with ActivBalance™ Support Foam and EverCool® Supreme Gel Memory Foam are designed to balance the right level of cushioning comfort and support for your body and help relieve painful pressure points. The Serta® Ultimate Edge® Foam Core provides long lasting support. Unlike many memory foam mattresses, it also features enhanced edge support to maximize your sleep surface so you have more room to stretch. Group includes Twin XL mattress and matching foundation. The New Serta® iComfort® Blue 3000 helps comfortably COOL & SUPPORT every curve of your body. The secret is the new TempActiv™ Technology which is found in the TempActiv™ Touch cover and the TempActiv™ Max Gel Memory Foams that help you fall asleep faster and stay asleep longer. EverCool® Fuze Gel Memory Foam along with EverCool® Supreme Gel Memory Foam and ActivBalance™ Support Foam are designed to balance the right level of cushioning comfort and support for your body and help relieve painful pressure points. 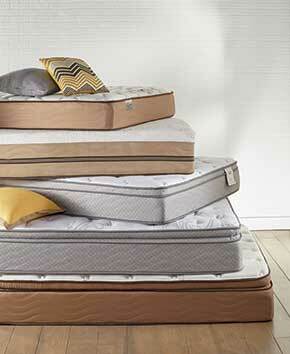 The Serta® Ultimate Edge® Foam Core provides long lasting support. Unlike many memory foam mattresses, it also features enhanced edge support to maximize your sleep surface so you have more room to stretch. Group includes Twin XL mattress and matching foundation. COOL & SUPPORT every curve of your body. The secret is the new TempActiv™ Technology which is found in the TempActiv™ Touch cover and the TempActiv™ Gel Memory Foam that helps you fall asleep faster and stay asleep longer. EverCool® Fuze Gel Memory Foam along with Serta® Balanced Support Foam are designed to balance the right level of cushioning comfort and support for your body and help relieve painful pressure points. The Serta® Ultimate Edge® Foam Core provides long lasting support. Unlike many memory foam mattresses, it also features enhanced edge support to maximize your sleep surface so you have more room to stretch. This group includes Twin XL mattress and Twin XL Motion Perfect III Adjustable foundation. The New Serta® iComfort® Blue 1000 helps comfortably COOL & SUPPORT every curve of your body. The secret is the new TempActiv™ Technology which is found in the TempActiv™ Touch cover and the TempActiv™ Max Gel Memory Foam that helps you fall asleep faster and stay asleep longer. EverCool® Fuze Gel Memory Foam along with ActivBalance™ Support Foam and EverCool® Supreme Gel Memory Foam are designed to balance the right level of cushioning comfort and support for your body and help relieve painful pressure points. The Serta® Ultimate Edge® Foam Core provides long lasting support. Unlike many memory foam mattresses, it also features enhanced edge support to maximize your sleep surface so you have more room to stretch. Group includes Twin XL mattress and Twin XL Motion Perfect III Adjustable foundation. The New Serta® iComfort® Blue 3000 helps comfortably COOL & SUPPORT every curve of your body. The secret is the new TempActiv™ Technology which is found in the TempActiv™ Touch cover and the TempActiv™ Max Gel Memory Foams that help you fall asleep faster and stay asleep longer. EverCool® Fuze Gel Memory Foam along with EverCool® Supreme Gel Memory Foam and ActivBalance™ Support Foam are designed to balance the right level of cushioning comfort and support for your body and help relieve painful pressure points. The Serta® Ultimate Edge® Foam Core provides long lasting support. Unlike many memory foam mattresses, it also features enhanced edge support to maximize your sleep surface so you have more room to stretch. Group includes Twin XL mattress and Twin XL Motion Perfect III Adjustable foundation. The Serta Motion Perfect III is a new and improved version of our best-selling adjustable foundation, and is designed to provide customized comfort and support whether you are watching television, working on your computer or just relaxing in bed. 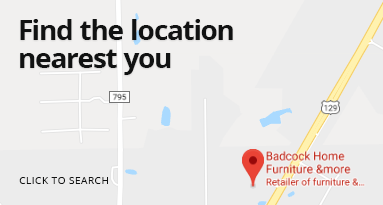 This foundation is finished with an upholstery-grade cover to complement a variety of Serta mattresses and bedroom furniture.